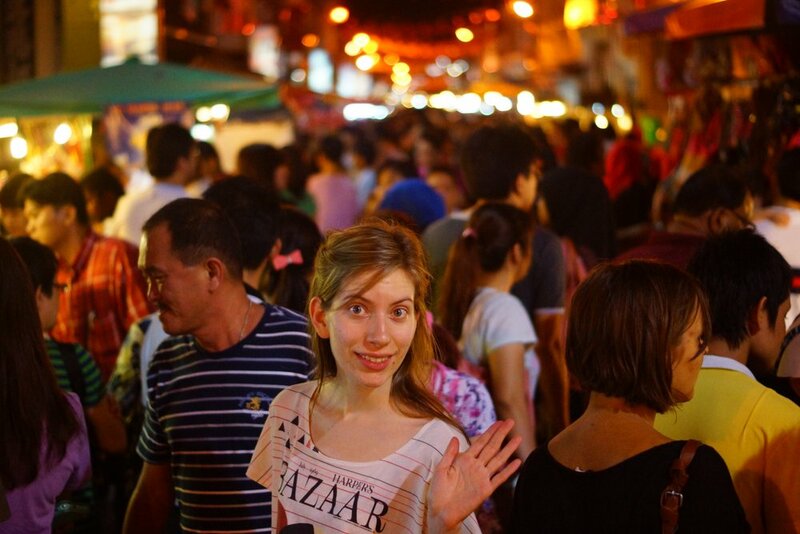 The beehive of activity that is know as the Jonker Street Night Market located on Jalan Hang Jebat Street is a weekend spectacle taking place on Friday, Saturday and Sunday nights from 6pm until roughly midnight in the heart of Chinatown in the cultural hub of Malacca, Malaysia. Vendors, performers, locals and tourists take to the impossibly crowded street to shop, snack on street food, people watch, socialize and/or take in a performance at either end of the lane. This is one of my favorite night markets in all of Asia (let alone Malaysia)- and considering the extensive travels I’ve done in the region that’s saying a lot. 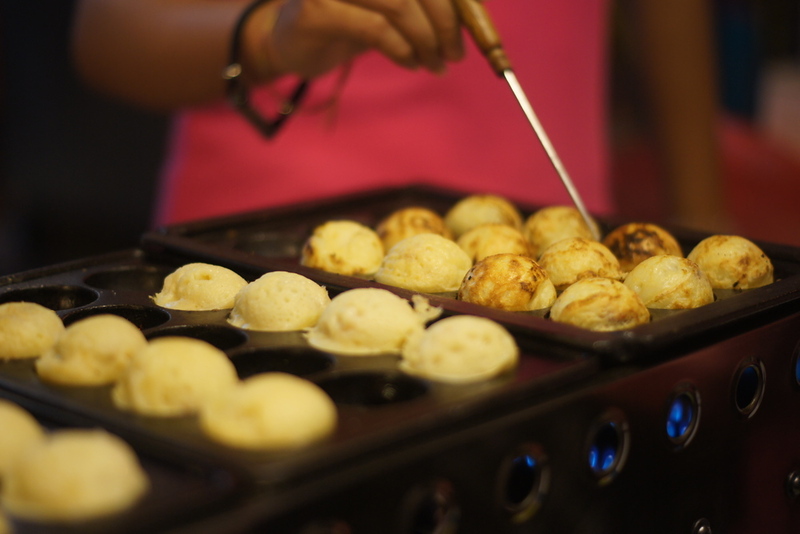 Only the marvelous Shilin Night Market in Taipei, Taiwan ranks ahead of this one. The following is a travel photo essay from a diverse collections of photos (some from my previous visit in 2011 and others from my most recent in 2013) from my many attempts to inch my way down this street. 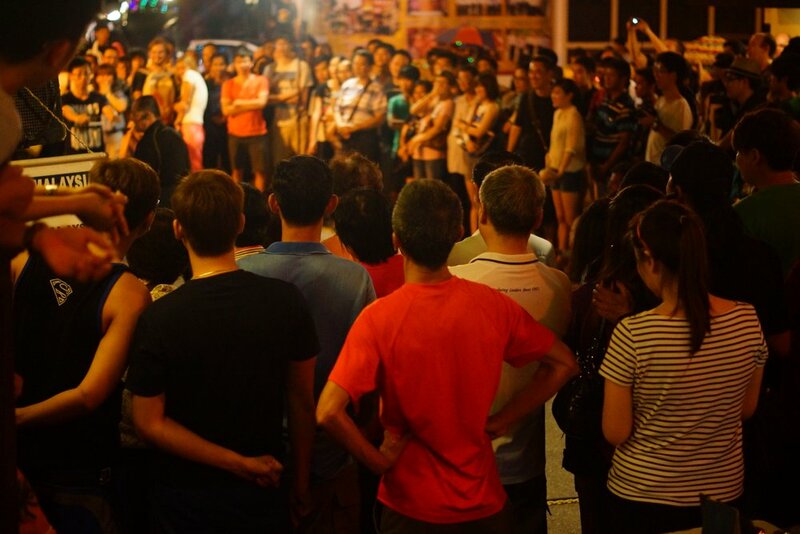 The lovely Audrey Bergner of That Backpacker poses for a crowd perspective night shot during the busiest of times. 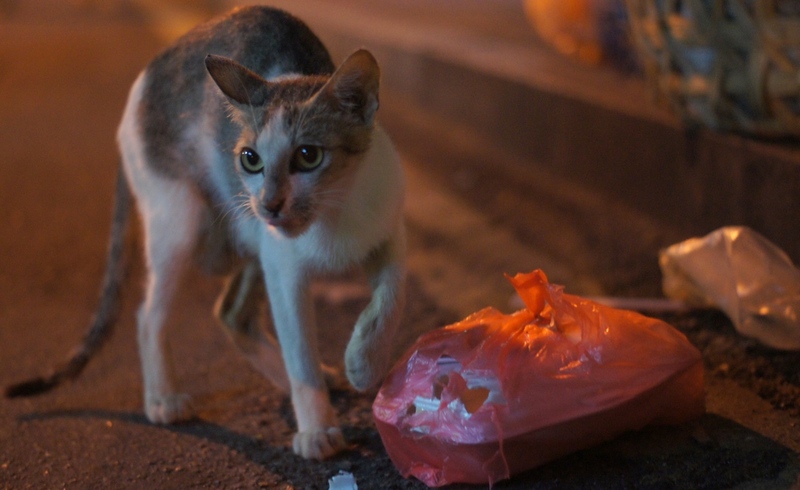 A cat scratches at a bag in search of a few scraps. 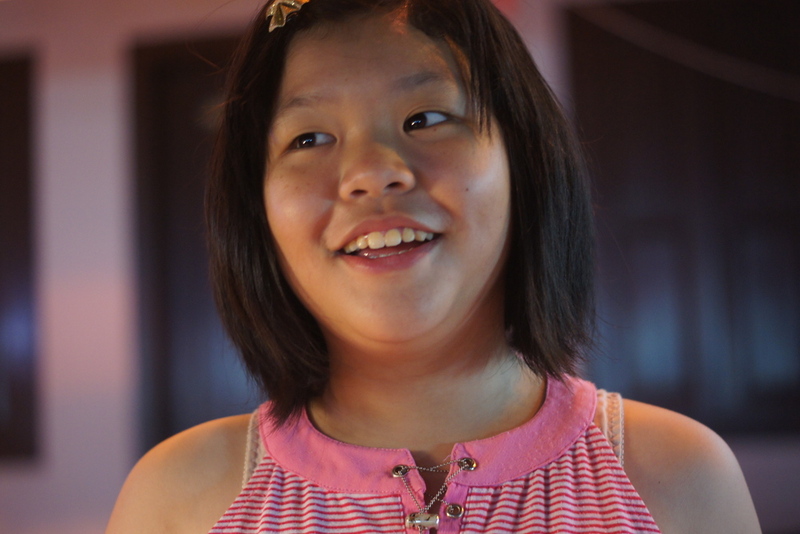 If you visit Melacca you’ll notice plenty of critters roaming about. 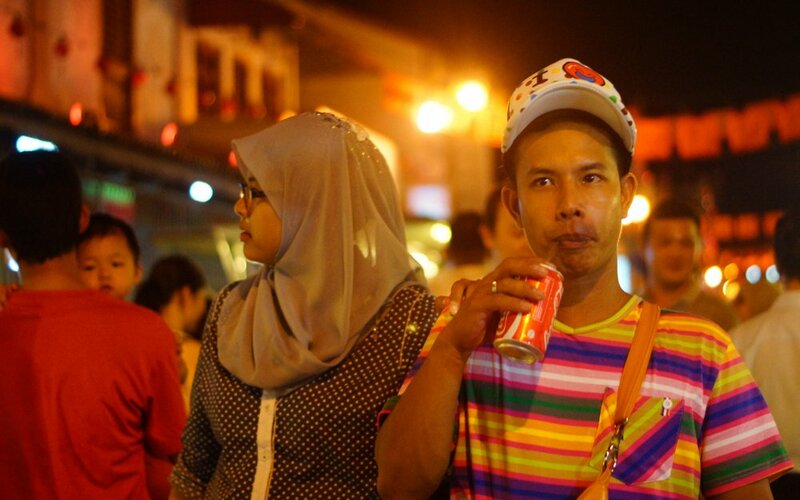 A man strolls down the main strip of the night market enjoying a refreshment along the way. 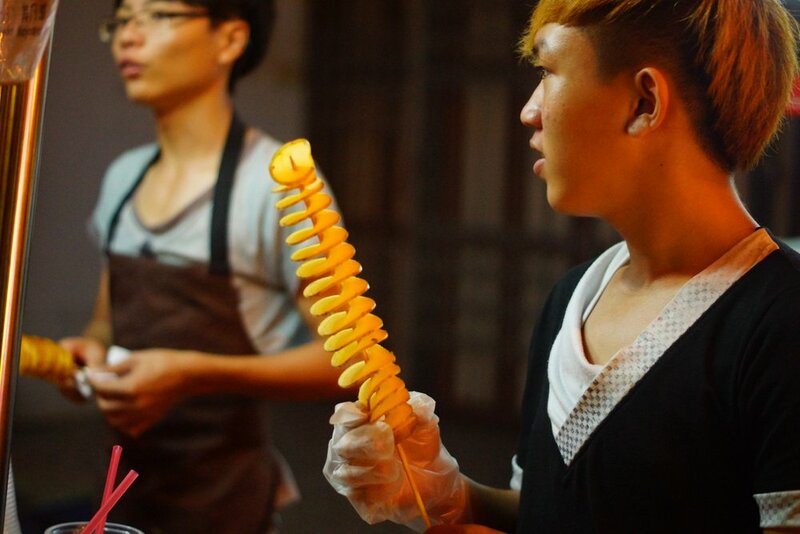 A street vendor prepares strips of potatoes on skewer that are known as tornado chips. I’ve had something very to this in South Korea. 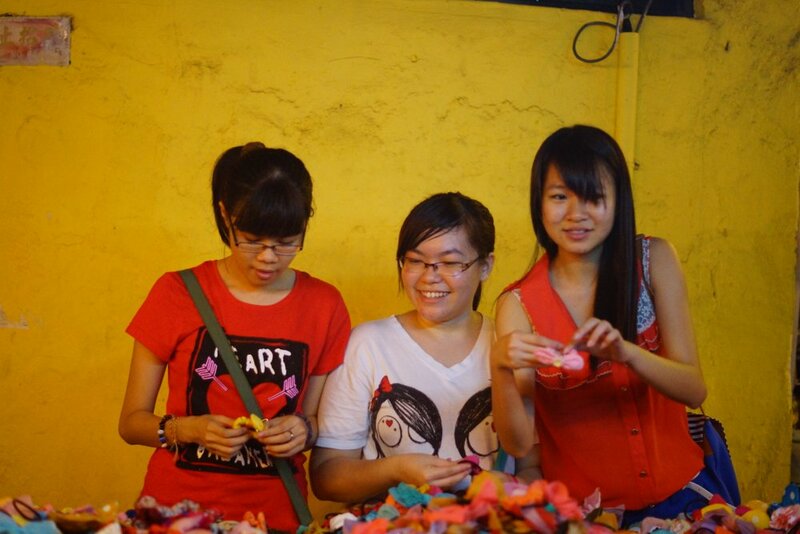 A group of ladies flash a candid smile while enjoying shopping at the night market for various kinds of trinkets. 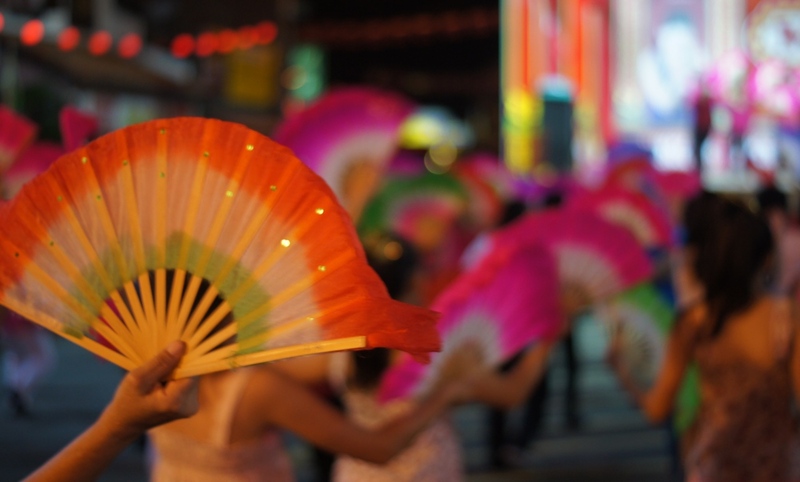 This is a close-up perspective shot of a fan dance being performed by a group of Chinese dancers. A street vendor carefully flips over some delicious snacks. A candid portrait of a lady smiling while enjoying some street food at a table. Near the stage end of the street there is a large section devoted to street food. A cute moment where a daughter hugs her mother. This was taken back in 2011 but I remember this moment like it was yesterday. A candid shot of some girls laughing while performing a dance. These girls really were enjoying putting on a show. 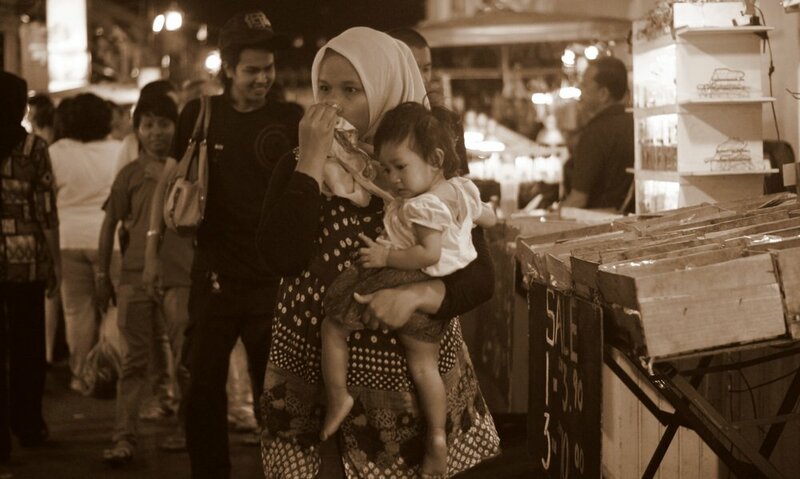 Mother and daughter make their way down the ever hectic Jonker Street night market. 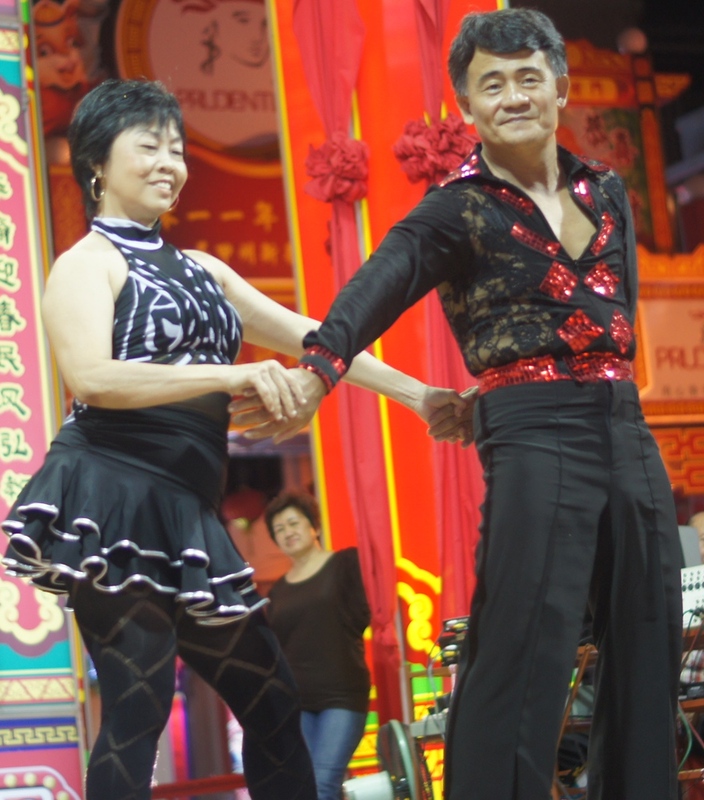 A talented group of performers dance and delight the night market crowd. A candid shot of a man with his arms crossed. 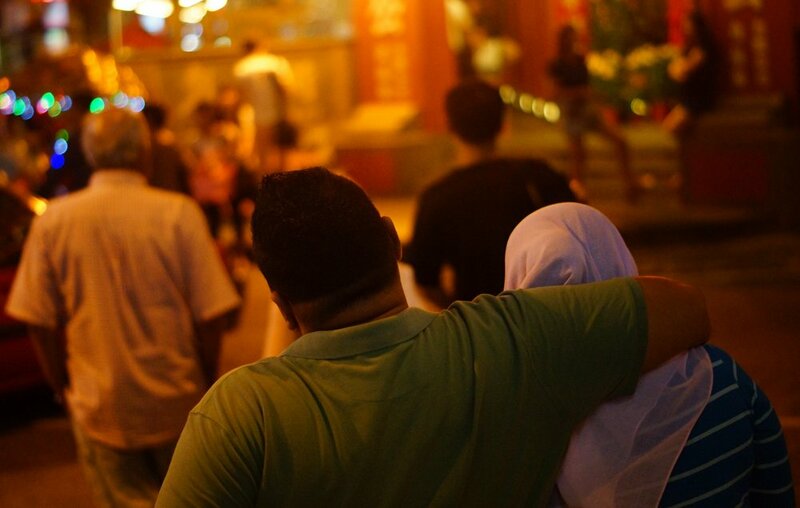 A couple embrace as they enter the night market. 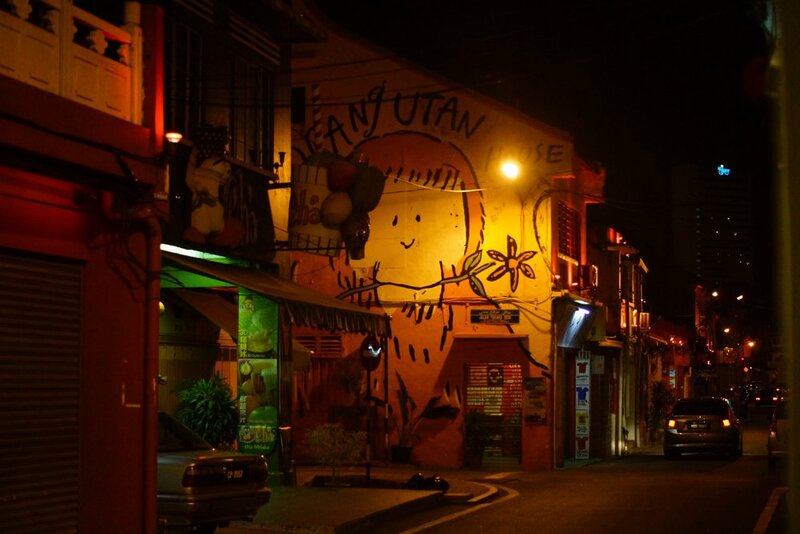 The Orangutan House late at night. A close-up candid shot of a lady wearing head covering. A child flashing a lovely grin. 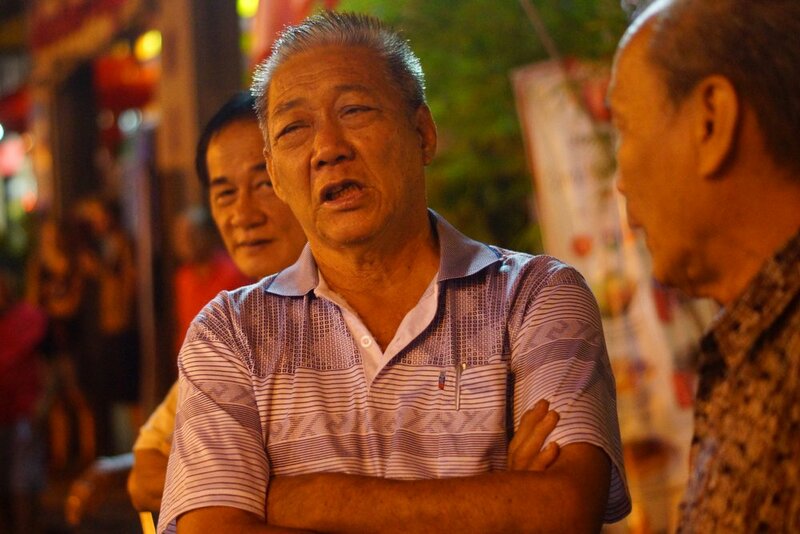 Jonker Street Night Market located in Malacca, Malaysia. I heard that the night market in Malaysia is now becoming a great destination for those who want to get great deals for shopping. Is it true? Great shots well done! I haven’t been to the night market here, but when we go back to Malaysia, I’ll have to check it out. cheers. Great photos Sam, glad you’re back on the road, will look forward to many more. Swoon! Your photos are absolutely stunning! 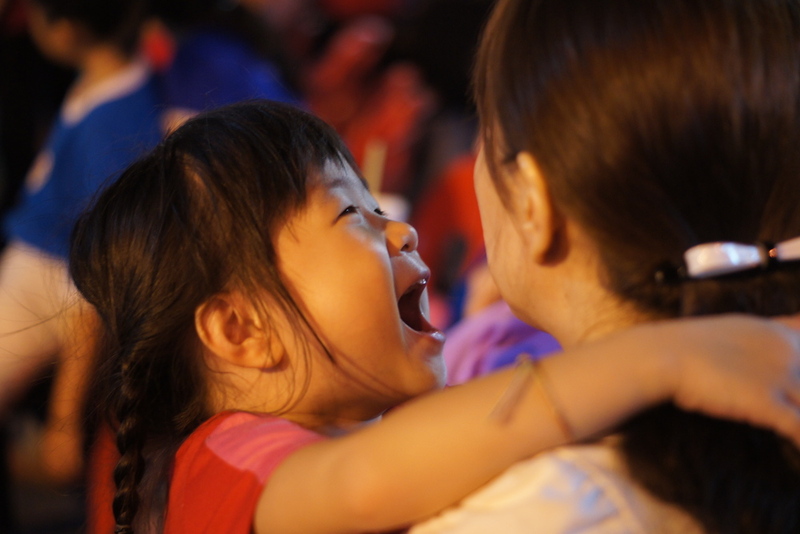 The pictures and the video wonderfully capture the ambiance of the night market. Despite looking out the window at an ugly, foggy, depressing Chicago spring day, I feel like I am in Malaysia. Thanks Ted! I’d love to be in Chicago to watch Da Hawks now! I’ve never been to Malaysia but I think that this might have to be the next SE Asian country I visit. Your great pics have inspired me. I sure hope you get to go soon! Thanks dude! I think you’ll like it. Some great beaches out here. Great pics. Takes me right back there. Thanks Adam! Malacca is a city I love to revisit. Wow, the market is super busy!